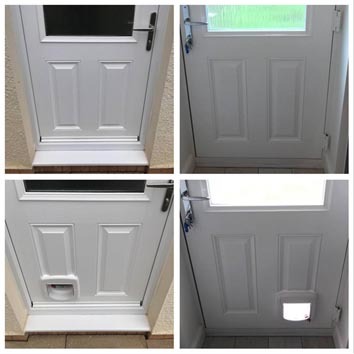 If you have a uPVC door fitting a cat flap couldn’t be easier, with replacement panels ready available we use the existing panel to cut and fit the cat flap. 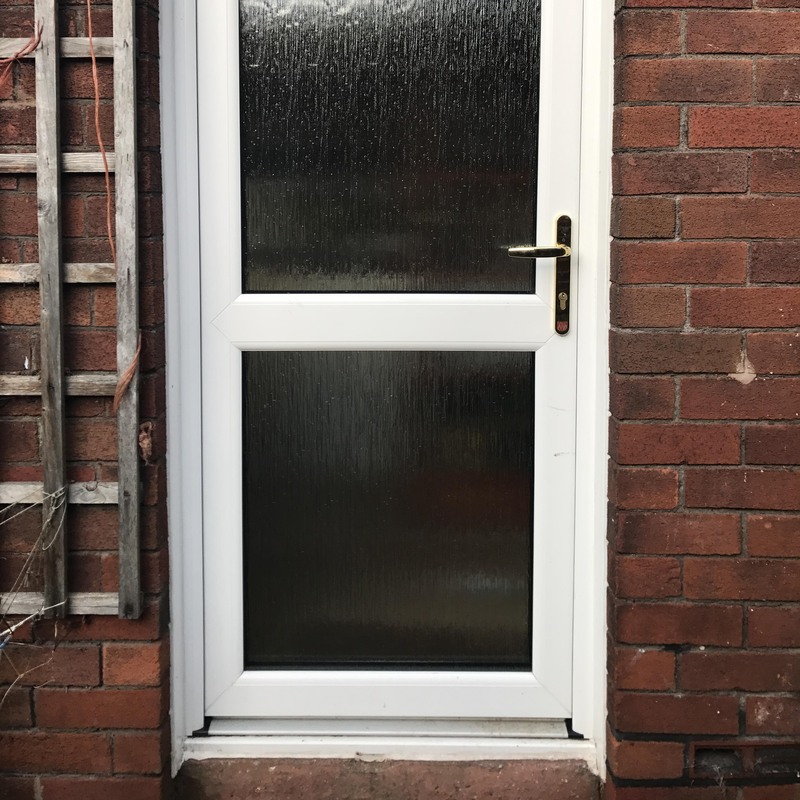 If your doors are double glazed or patio doors, we would need to arrange a FREE measure and quote service to have the glass pre cut and cat flap installed into the glass panel of your door or window. Either option can provide your cat with freedom as and when they choose. 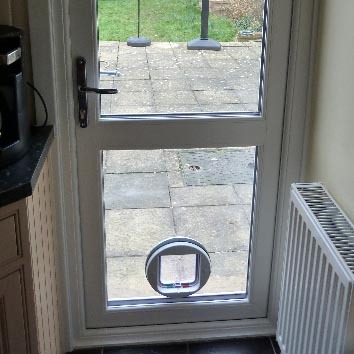 Unlocking only for your pet and preventing strays and neighborhood cats from entering your home. Microchip cat flaps recognise the ID chip of your cat. 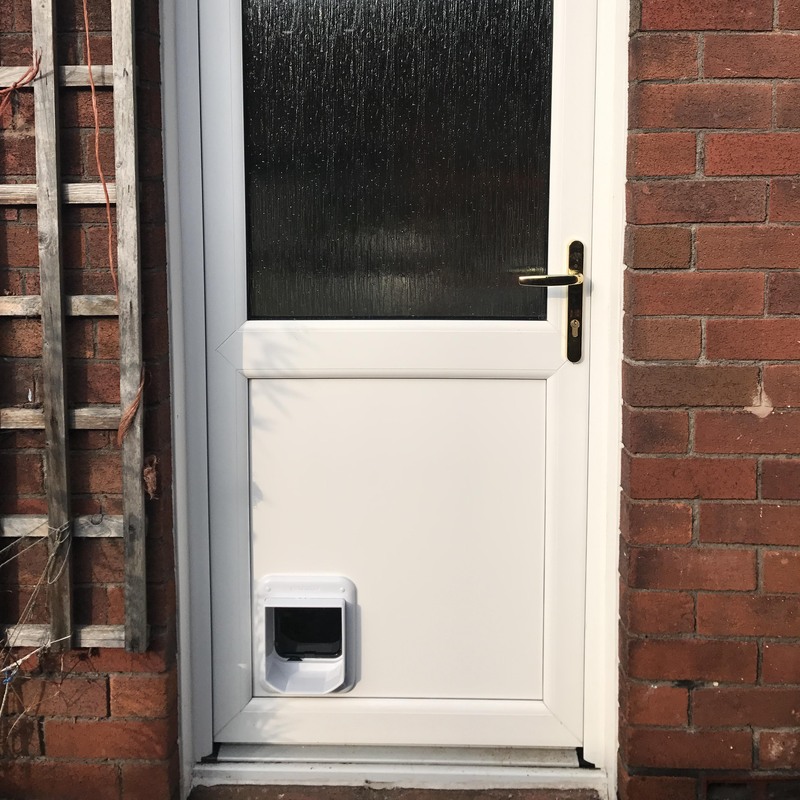 We fit both standard and intelligent id cat flaps because they are battery-powered, it can be installed virtually anywhere and we can easily fit these into any glass or uPVC panel . 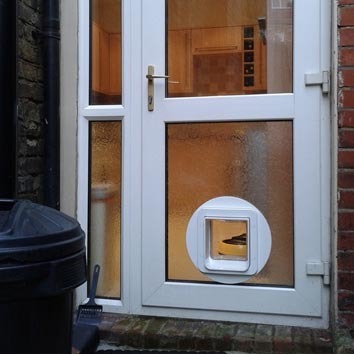 Cat Flaps, fitted in uPVC doors can easily be installed or replaced. 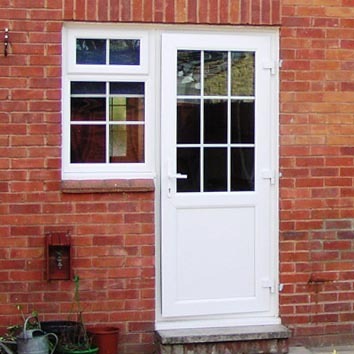 Whether you wish to have one installed or removed we can fit or change out only the panel or glass so you don’t have to go to the expense of a new front door.